Offering a unique variety of fantastic feminized strains, Hero Seeds are one of the most exciting breeders in Spain right now. 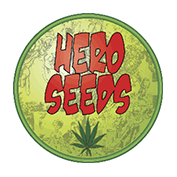 With each strain representing an original comic book super hero, you can be assured that Hero Seeds will perform above and beyond expectation. Buy Hero Seeds from Seedsman now.